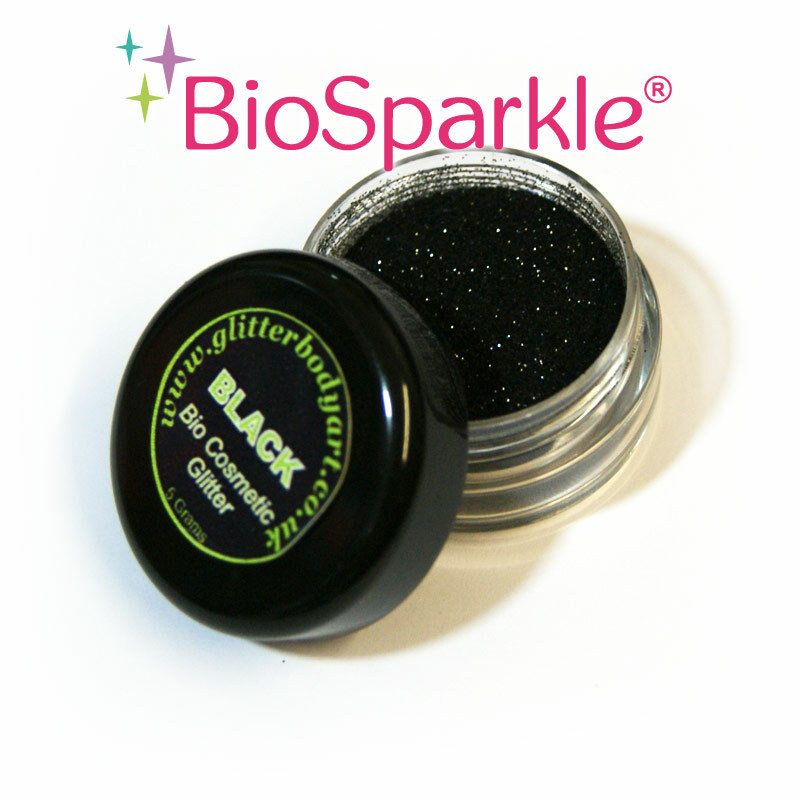 Bio glitter Black is a stunning jet black colour but with that added sparkle, perfect for creating glitter tattoos. Comes in a 5 Gram screw top jar. Bio glitter is full grade cosmetic so can be used for a number of skin applications. Glitter is size 008 which is currently used for Glitter Tattoos. Biodegradable glitters break down naturally in the environment so that no harm can come to wildlife. Perfect for outside events like carnivals and festivals or the environmentally friendly amongst us.